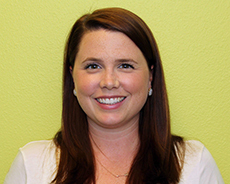 Alixanne has close to a decade of experience in the world of Child Development and Special Education. She started her career at The Triumph Center, an agency outside of Boston that specializes in social skills programs, Special Education consultation services and a summer camp for children with a variety of developmental and mental health profiles. When she returned home to the Bay Area, she followed her passion and worked for Abilities United as an early intervention specialist and Head Teacher at their inclusion model preschool, Milestones. She also helped start and run their Social Skills Group program. In the fall of 2012, she was excited to join the team at Sand Hill School and is thrilled to be part of such an innovative and creative school. When she’s not at work, Alixanne enjoys spending time with her family, her dog, running, baking and traveling. She also loves to sing! Alixanne grew up in Palo Alto and graduated from Menlo School. She holds a BA in Psychology from Bucknell University in Pennsylvania and a Master’s Degree in Applied Clinical Child Development from the Eliot-Pearson Department of Child Development at Tufts University.